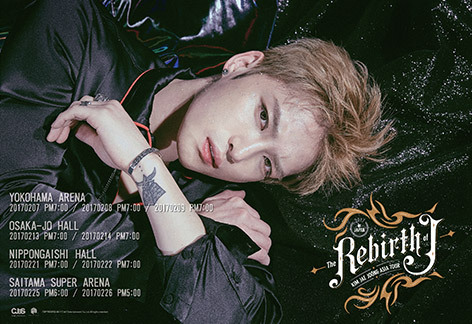 2017 KIM JAE JOONG ASIA TOUR ‘The REBIRTH of J’ was an international concert tour of JYJ’s member Kim Jaejoong. 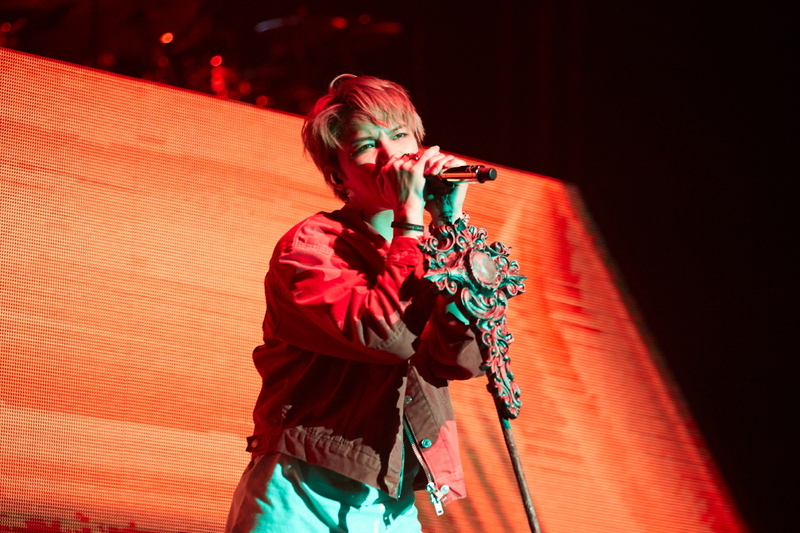 The tour was organized to support his second studio album NO.X and was Kim’s first headlining tour after completing his South Korea’s military service for a year and nine months. 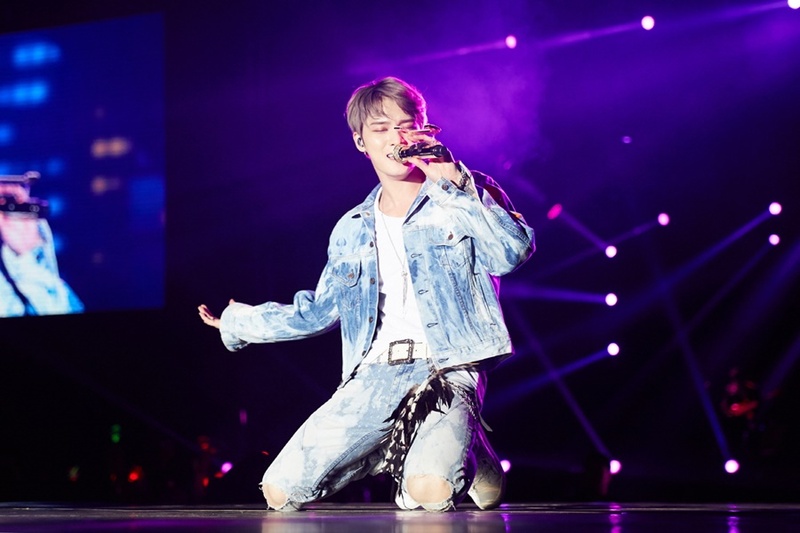 After holding his first hologram concert in 2016 to promote the same album, this new tour visited five Asian countries in nine cities from January to early April 2017, starting from South Korea to Taiwan. Kim performing “서랍(Drawer)” in Yokohama. Photo: C-JeS Entertainment. C-JeS Entertainment first announced the start of the The Rebirth of J tour with shows in Seoul, Yokohama, Osaka and Nagoya on December 31, 2016 through JYJ Japan Official Website. MelOn Ticket was the ticketing agency for the shows in Seoul and the sales took place on January 2, 2017. LOOK Korea was the only exclusive authorized dealer and travel agent for international and Japanese fans. On January 16, 2017, five more shows were added to the tour including stops in Tokyo, Hong Kong, Thailand, Macao and Taiwan. The concert organizer for the Bangkok show, IME Asia, revealed the show’s concert date on the same day. Ticket sales for the Hong Kong show began the following day after the same show was officially announced on January 25, 2017. 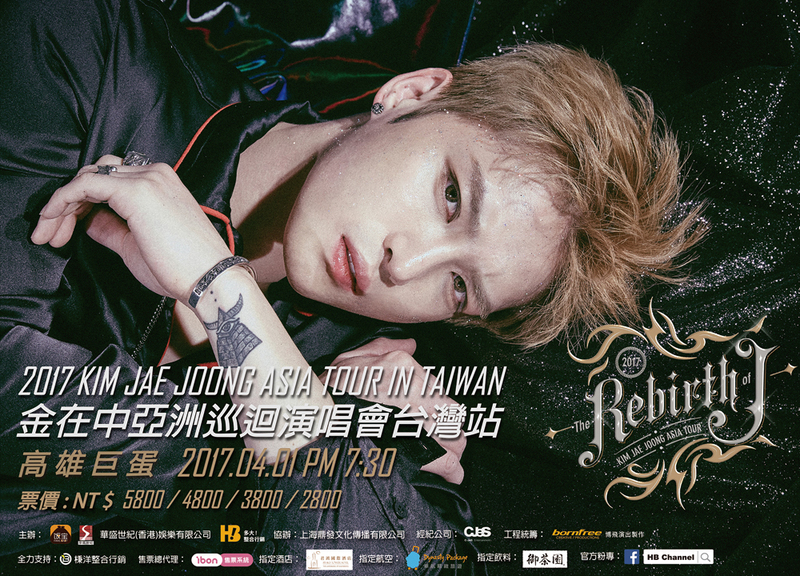 The date for the Taiwan concert was revealed on January 26, 2017. Kim announced two additional Japanese encore shows in Saitama during the first day of the Yokohama concert. The announced stops in Tokyo were replaced by Saitama as the final concert in Japan. 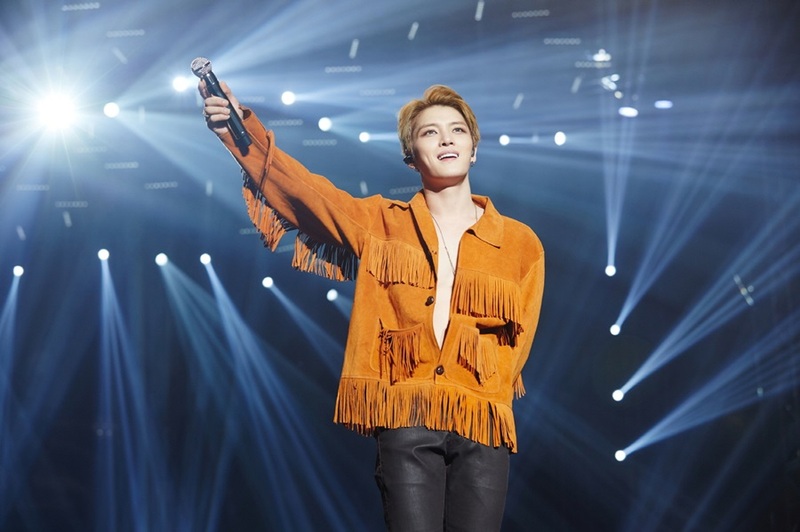 The concert in Macao was Kim’s first ever performance as a solo artist and as a JYJ trio. Kim performing “Let the Rhythm Flow” in Nagoya. Photo: C-JeS Entertainment. Kim enlisted in the South Korea’s military on March 31, 2015. 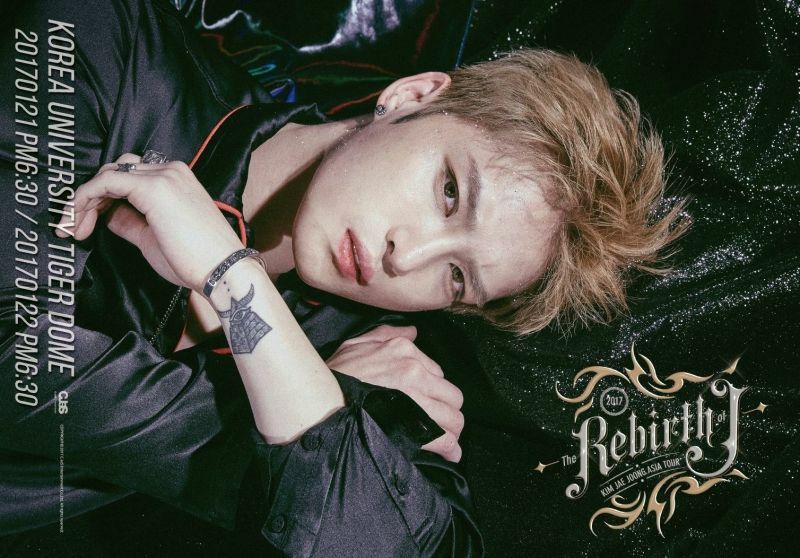 While serving his military service, he released his second full-length album NO.X on February 12, 2016 and held three shows of 2016 KIM JAE JOONG 2nd ALBUM HOLOGRAM REAL LIVE CONCERT in Tokyo and Seoul from February till April 2016, all of which were entirely prepared before his enlistment. On December 31, 2016, Kim held a special mini fansigning event at COEX Live Plaza after discharging from the military a day earlier. The tour featured songs from his I mini album, and WWW and NO.X studio albums. All shows lasted for about two and a half hours except the Japanese concerts which ran for three hours. The first Osaka concert was four hours long and it was Kim’s first performance in Osaka after more than three years since his last WWW Asian tour. A concert poster photo shoot was carried out on January 5, 2017 as revealed in a V LIVE broadcast and different concepts for the shoot were prepared. The tour’s opening sequence was filmed on the following day. The concert tour logo was designed by Kim himself. The concerts in South Korea and Japan had an extended opening intro accompanied by a laser show. In Bangkok, 200 fans were chosen to attend an open press conference which was held in Central World Department Store and 50 fans for autographed posters. In Kaohsiung, Kim pulled an April Fools’ Day prank by pretending to collapse on stage during the second half of “Good Morning Night”. Kim performing “지켜줄게(I’ll Protect You)” in Seoul. Photo: C-JeS Entertainment. 19 songs were performed in each show. “지켜줄게(I’ll Protect You)”, an original soundtrack from the TV drama series Protect the Boss, was included in the set list as one of the encores. Kim was accompanied by seven live concert band members on stage. Kim held a ‘Dress Code’ talk session throughout the tour, where he spoke to his audience about their special outfit backstage through on-stage screens. In Hong Kong, Bangkok and Macao, this session was entirely done on stage. In Seoul, he celebrated his birthday in advance on stage towards the end of the concert on January 22, 2017. 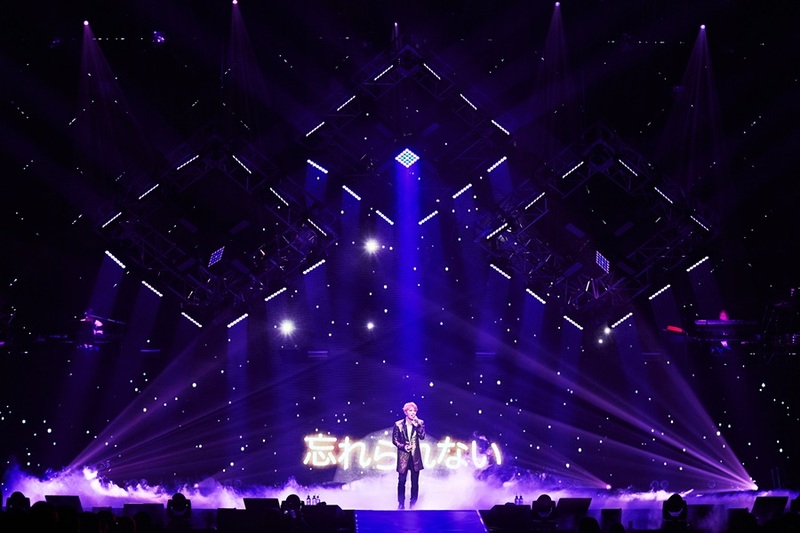 Kim showcased a special stage that can only be seen in his Japanese concerts where he performed “One Kiss”, “Good Morning Night” and “Just Another Girl” live in Japanese for the first time. Both Japanese renditions of “Love You More” and “守ってあげる(I’ll Protect You)” were also sung live for the first time only during the Saitama encore concerts. “Butterfly” was performed for the first time in the Bangkok show, replacing “Love You More” as the encore track. It was performed again in Macao and Kaohsiung. The concert stage in Osaka. Photo: C-JeS Entertainment. The main stage for the The Rebirth of J tour had a distinctive separated first and second floors. The high-quality projections shown during the shows did not have a concept to follow but each song had different moods in the video. In each performance, the background or imagery pictures appear behind Kim when he was on the main stage. Concept and details for lighting and video design were put into consideration to meet the standards of Kim as a global artist. Combining with the on-stage screen clips and stage lighting, Kim looked as if he was hanging in mid-air during “원망해요(All I Desire)” when he was on the elevated extended stage. Lyrics for “서랍(Drawer)” and “지켜줄게(I’ll Protect You)” were projected onto the main stage screen and two large screens on both sides of the stage to allow fans to understand them better. In Seoul, the entire T-shaped extended stage can be elevated and rotated 90 degrees, and was entirely transparent except a middle square platform that featured as another stage screen. This screen displayed similar content and changed color tones according to the onstage screen. The T stage was like a fashion runway which provoked a party-like atmosphere. The elevated stage allowed Kim to see his audience on the upper floors at eye level. A lot of effort was put into sound design for the Seoul concert as the venue was a gymnasium instead of a proper musical hall and also because of most of Kim’s songs required higher vocal range. New promotional poster for Japan tour. Photo: C-JeS Entertainment, S27 Entertainment. A special concert website was set up for the tour in Japan on December 31, 2016. A 20-second video teaser was released and advertised in train stations to promote the shows in Seoul on December 31, 2016 onwards. The official logo for the concert in Seoul was revealed by MelOn Ticket on January 4, 2017 while the concert poster was unveiled on January 16, 2017. 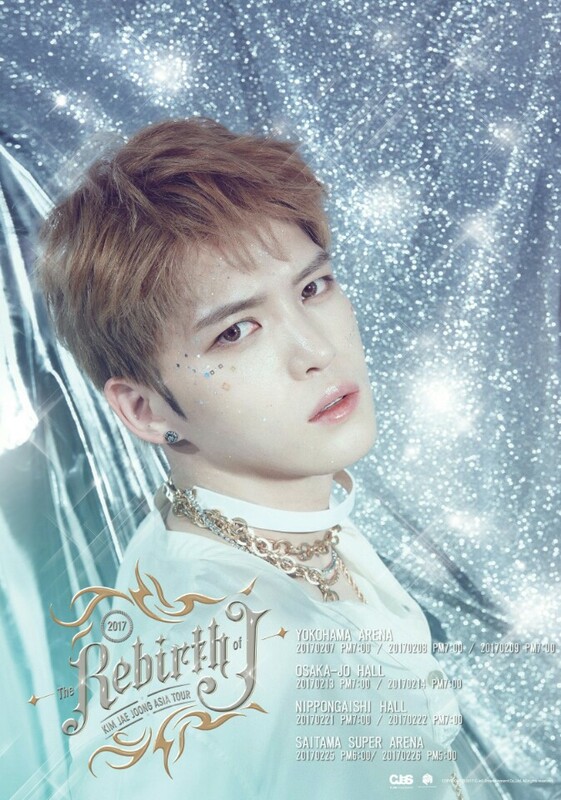 A new promotional poster for the Japan tour, which featured a completely different theme and backdrop, was released by C-JeS Entertainment on February 7, 2017. An exclusive video message by Kim to his fans for the shows in Yokohama, Osaka and Nagoya was revealed on January 30, 2017 and for Saitama concert on January 8, 2017. Kim promoted his Bangkok concert through a 1-minute greeting video message on February 6, 2017. The tour’s 30s TV spot promoting the encore Saitama shows was released on February 11, 2017. Promotional trucks operated in Tokyo from February 15 to 24, 2017 ahead of the encore Japanese shows. 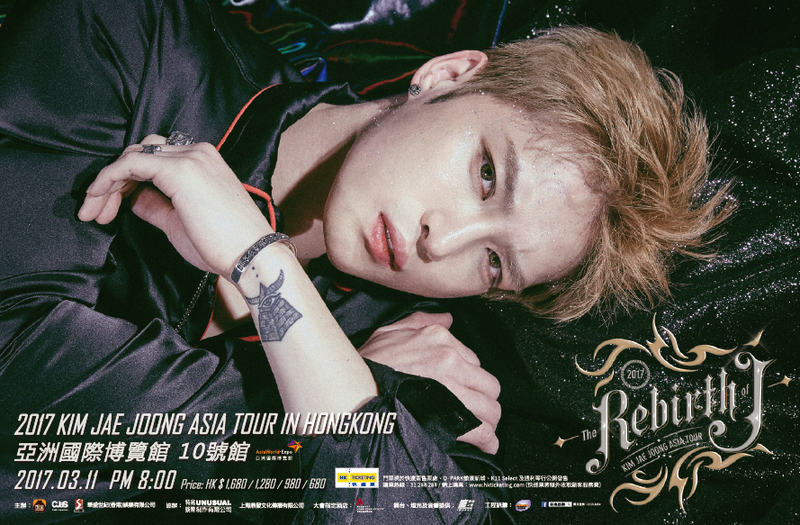 The Rebirth of J tour’s first press conference was held in Hong Kong on March 11, 2017. The second open press conference of the tour was held in Central World Department Store in Bangkok. Kim performing “Good Morning Night” in Hong Kong. Photo: C-JeS Entertainment. Kim’s studio rehearsal for the song “All That Glitters” was broadcast live on January 18, 2017 on V LIVE. A 3-minute concert highlights and behind the stage scenes from the Seoul show was broadcast on NAVER TV and V LIVE on February 4, 2017. A concert making clip for the Yokohama and Saitama shows were released on NAVER TV and V LIVE on February 24, 2017 and March 7, 2017, respectively. A new 4-minute Seoul highlight clip was broadcast at the end of Kim’s second eating show episode on V LIVE on March 15, 2017. V LIVE released the second half of the “Good Morning Night” performance in Nagoya on April 5, 2017. Prior to the start of the last Nagoya concert, Kim went live to speak and answer a few fan questions on V LIVE on February 22, 2017. Kim also went live before he started his Hong Kong and Macao shows on V LIVE on March 11, 2017 and March 25, 2017, respectively. A 12-minute clip featuring an interview with Kim for the Hong Kong concert was aired on TVB Entertainment for its StarTalk segment on March 25, 2017. Kim did an exclusive interview with VIU Thailand for the Bangkok show and the 5-minute interview clip was released on March 19, 2017, and for Nine Entertain Night Live aired on March 24, 2017. A special 12-minute interview of Kim with Tofu Pop Radio for the same show was released on March 29, 2017. Kim’s interview with ETtoday for the concert in Kaohsiung was released on April 13, 2017 while the concert highlights were released in a 3-minute clip by MTV 我愛偶像 Idols of Asia on the next day. The encore shows in Saitama were recorded into a DVD which was released on September 5, 2017. It was released as a 3-disc DVD where disc 3 includes the concert making film. The DVD set comes with a 250-page color photo book. Kim performing “Kiss B” in Macao. Photo: C-JeS Entertainment. Tickets sold out nearly instantaneously for the two-night Seoul concert, with tickets for the two-night Seoul concert completely sold out within one minute on January 2, 2017. In Bangkok, tickets for the 5,000 venue were sold out in just 3 minutes after the start of the sales on February 11, 2017. The Rebirth of J tour in Seoul ranked at #1 on MelOn Ticket’s weekly chart for week January 1-7, 2017 and placed #2 for the monthly chart of January. Actors Jang Keun Suk and No Min Woo were present on the first day of the Seoul concert. Kim’s family attended concerts both Seoul shows, the first Osaka concert, the second Saitama encore show and Bangkok concert. Professional martial artist Choo Sung Hoon, celebrity hairstylist Gunhee and singer Nam Woo Hyun attended the Yokohama concert. The same shows in Yokohama gathered fans from South East Asia and South America. Kim’s press conference in Hong Kong gathered over 40 local media and press including newspapers Oriental Daily, Mingpao and Sing Tao Daily, online media Sohu, and video sites Tudou and YinYueTai. In Bangkok, about 100 press and media including TV channels CH9, Ch.8, True Inside, Naewna, Thairath, and radio station Tofu Pop Radio gathered at Central World Department Store to cover the event. The same concert that night also attracted 5,000 fans from Thailand, Myanmar, Laos, Cambodia, Vietnam, Singapore and other neighboring countries. The one-night-only concert in Kaohsiung grossed TWD 24 million. This set list is representative of the performance in Seoul and Japan. “One Kiss”, “Good Morning Night” and “Just Another Girl” were performed in Japanese in Yokohama, Osaka, Nagoya and Saitama. “Love You More” and “守ってあげる(I’ll Protect You)” were performed in Japanese in Saitama. 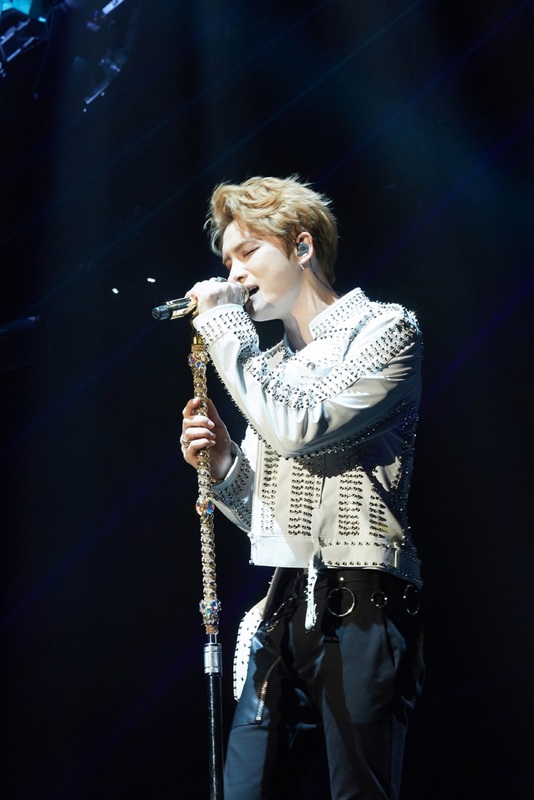 The list of goods was revealed one day ahead of the Yokohama concert through JYJ Japan Official Website and the tour’s special website. The sales of the merchandise for all Japanese shows began at 12:00PM local time. The availability of goods vary from show to show and some merchandise are removed or added depending on the demand of each country visited. The message printed on the slogan towel, and the label name on the badge and its color change according to the different cities in the tour. Two brand new design merchandise and five new additional items will be introduced for the Yokohama concert. The new designs for the Yokohama concert feature a new type of big size blanket and two new colors of hoody. 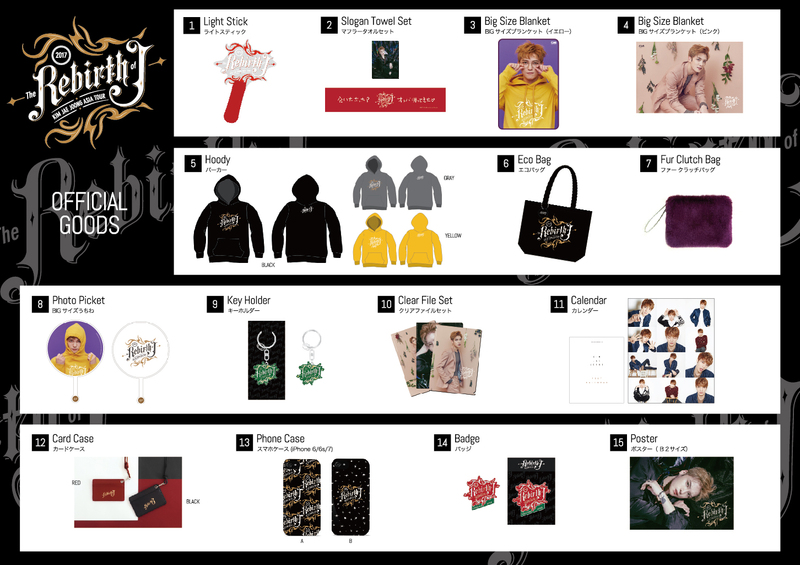 The new additional merchandise include a fur clutch bag, a photo picket, a clear file set, a card case and iPhone cases that are not previously available in Seoul. In Osaka, two new goods were added into the list which include a T-shirt and a pouch. The existing green key holder is now available in red (Type B) and the badge is green in color. A new type of Eco bag was on sale for the Nagoya concert and the badge is purple. 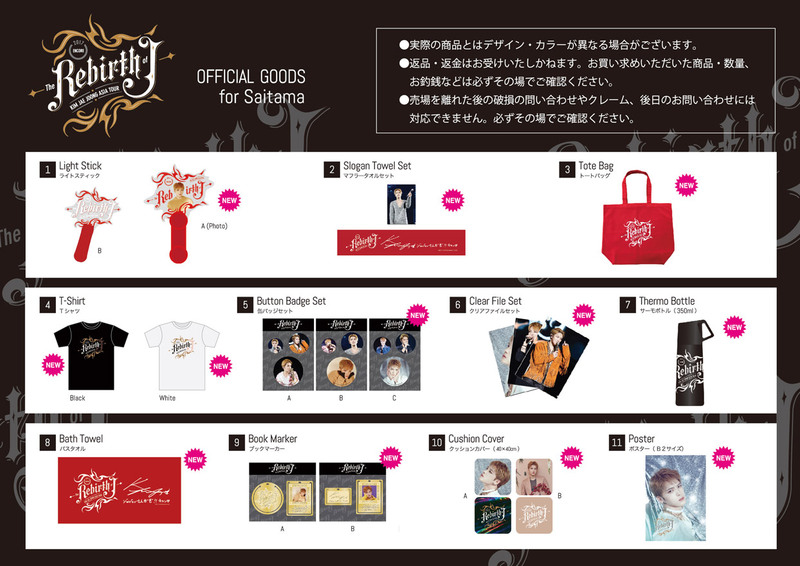 Saitama concert goods. 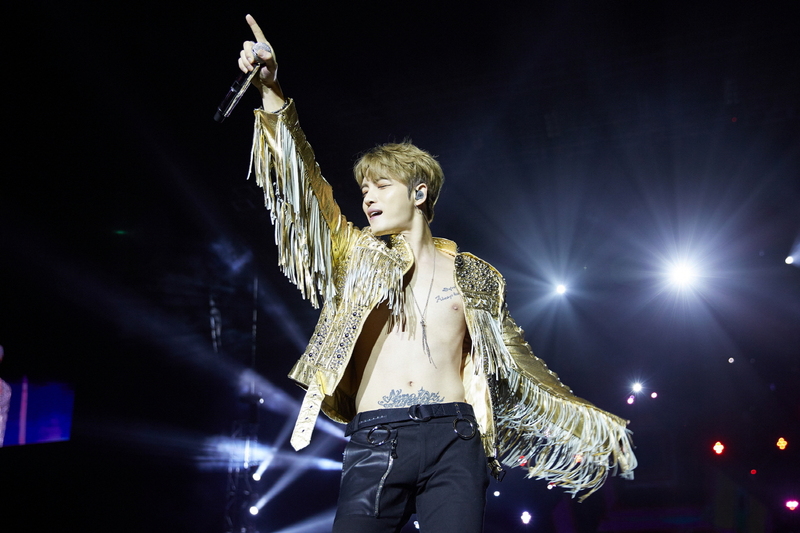 Photo: C-JeS Entertainment. A new set of goods was exclusively sold in the encore Saitama concerts. The new list includes a photo version of light stick, new slogan towel set and bath towel design, two new T-shirts featuring new encore concert logos, and new photos featured on the clear file set and poster. The addition of new releases includes red tote bag, button badge set, thermo bottle, book marker and cushion cover that were not seen in any other shows. 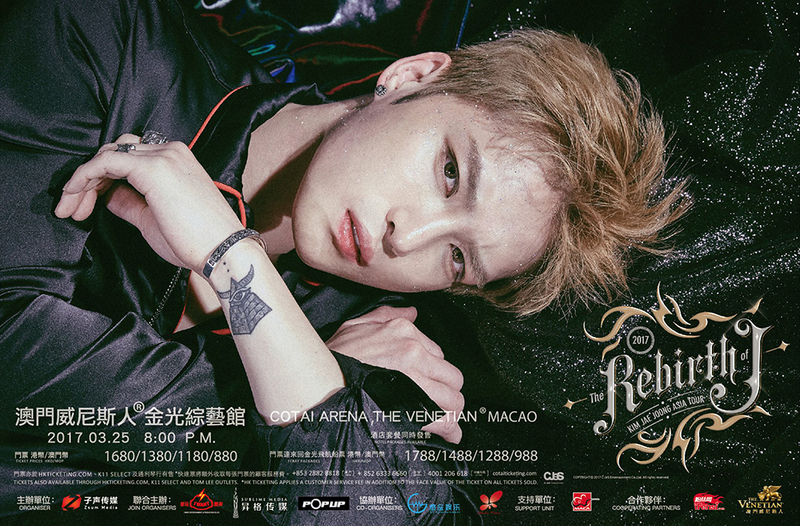 The Bangkok concert had two new goods featuring new black slogan towel and badge while the Hong Kong, Macao and Taiwan leg had a new slogan towel with a printed handwritten Chinese message of Kim to his fans. This table is representative of the sales in Yokohama, Osaka, Nagoya, Saitama, Hong Kong, Bangkok, Macao and Taiwan. This page was last modified on January 11, 2018.